I’ve been putting off this post for some time because I knew it would be a hard one, and that is that the book is likely not going to be ready this year. We make goals to have something to strive for, but I’m reminded that all of this is really up to God and his timetable rather than the times that we arbitrarily put on them. So what has been going on and why the delay? When I set out on this endeavor it was a new goal and a substantial one. The book would be approximately 120+ color illustrated pages to be complete within the course of a year which is an endeavor in and of itself. In addition to the book art there is the script, concept art, and business matters all which need a certain amount of attention. First the script. I felt the script was about 90% there, good enough to start layouts for graphic novels go, but after some test readings by trusted friends they affirmed some thoughts that I had lingering in the back of my mind regarding character development and arc, things I originally tried to condense to keep the story within a certain page count but was doing the story a disservice. 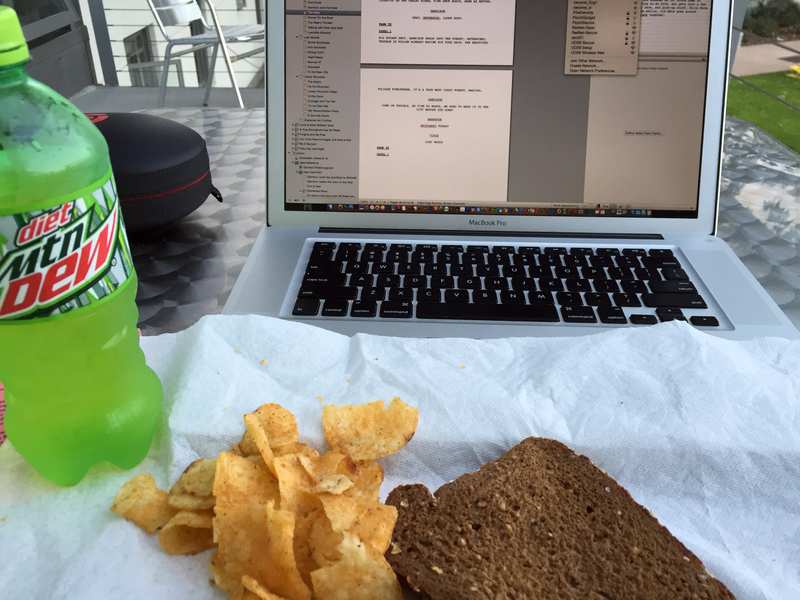 Right now I’m rounding third base on the overhaul rewrite of the script, and have found that reworking the script to be much more difficult than the initial write because it involves a lot more “fitting”– what pieces to keep in, what to keep out, how will the pages all fit together in pagination since it is an art book. Also this means the book has grown in length now by from 120+ pages to almost 160 and going, but I’m just going to let the story take it’s course then go back and see if there are any panels/pages I can “cut for time”. I hope to have the script done this week and heavy into layouts shortly thereafter. 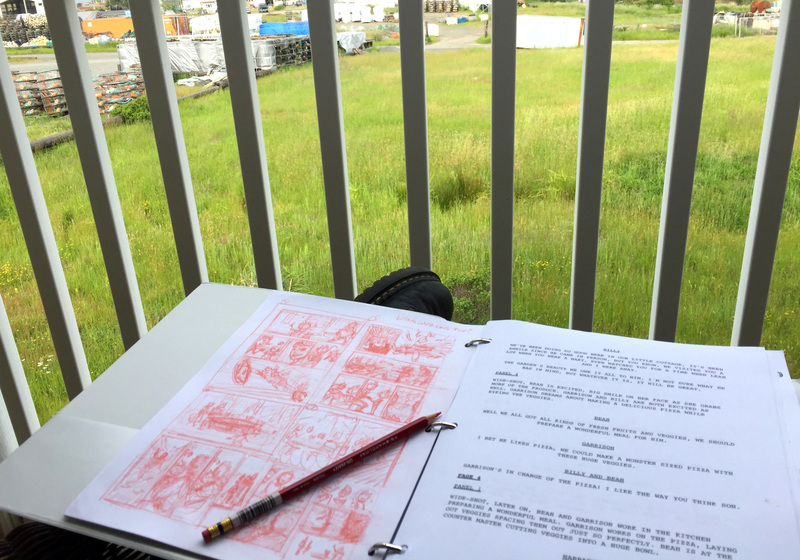 Original Script Layouts at the Portside Suites in Brookings, OR with my wife Leah driving down the 101 coast early Summer 2017. Next is the concept art. I set out to do a thorough work on concept art; character designs, environment designs, and key art when I first started the project to both make the book better as well as to sharpen my skills as an artist. The first pass at concept art was great and developed a style, but now it’s up to me to take a second look at it and see where to perfect and what I still must develop in order to press forward with the book as quickly as possible. All of the major characters now have had at least an initial pass, most of which have yet to be shared. 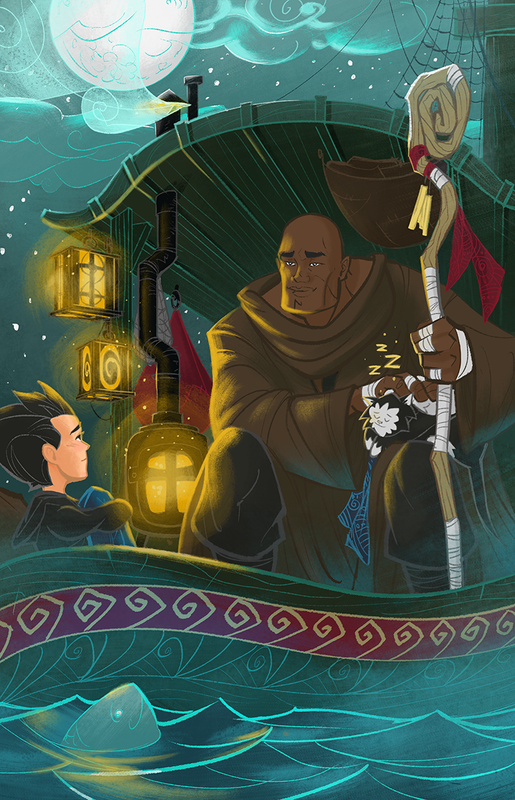 Key art has been established to help give an idea for key moments as well as the style of the book. For those interested I have started a Gallery to hold the concept art in progress on the site,as well there is more art to see on my Etsy store Stronghold Art. 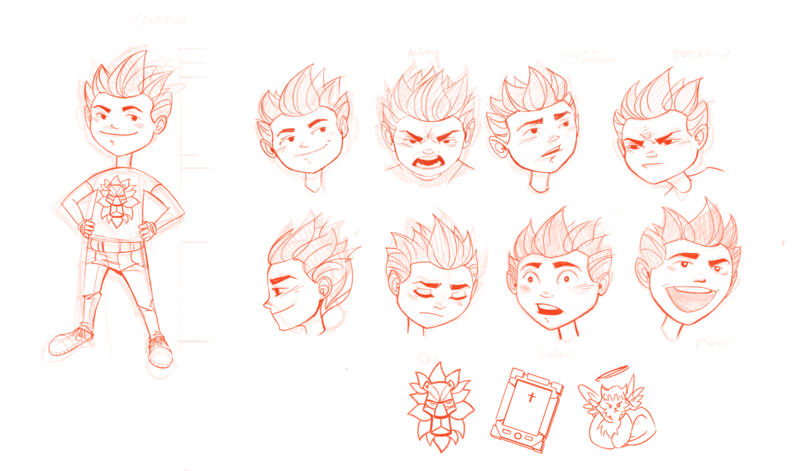 Luca Character Design and Style Explorations. 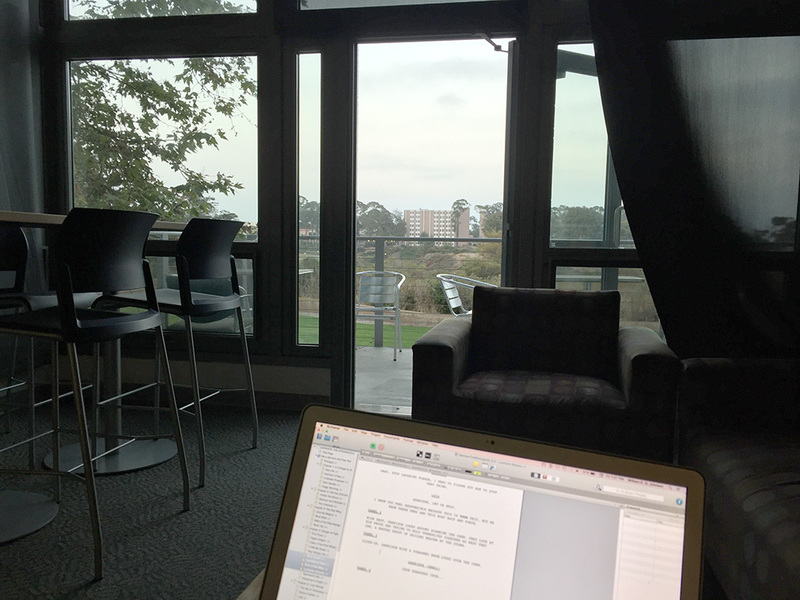 Luca was added during the script revision process as a rival to Garrison in the second chapter to increase the drama. Finally the environments have been started, enough to begin the layouts, locations such as as the cottage by the sea and Michael’s boat in Chapters 1 and 2 have been defined thoroughly, while other areas in chapters 3-6 still are a bit loose and need work. My plan is to begin pressing on the layouts and work on some of the environment studies alongside to help speed things up. Finally the matter of the business work. There are several areas within here, looking into possible publishing avenues, marketing, marketing language which we have mostly narrowed down and just simply getting the word out. Part of this is getting to comic shows and begin sharing the work with others. It’s a bit tough for me in all honesty, but never the less going to conventions is a great way to meet new people and maybe the best way to be real about the book. Currently I’m booked for Jet City Comic Con on November 4th and 5th in Artist Alley, as well I’ve booked Lilac Comic Con in Spokane for next June. With this in mind, my goal is to have some great prints and in process visuals from the book to share with guests and I’ll definitely be giving away free sketches and would love to meet you if you come out. 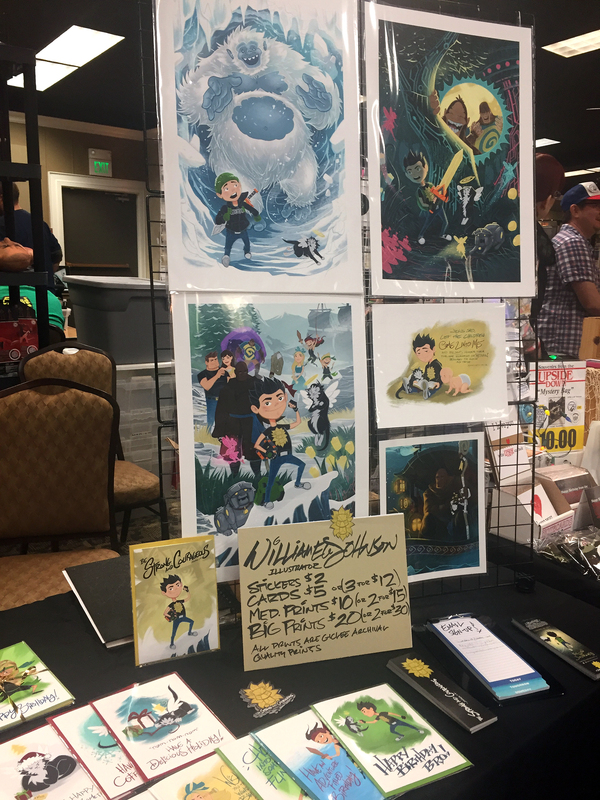 If you know a convention or other venue you think would be good for me a visit I would love to hear from you, I’m new to promoting but trying to book at least a show every month or two as the book ramps up. 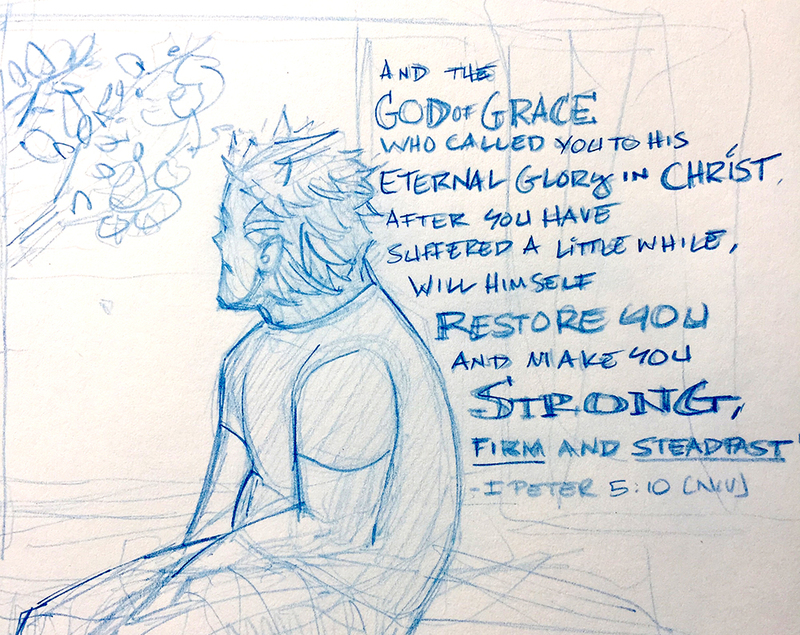 One last update, this year I have also been dealing with some surprise medical setbacks, I don’t really want to share all of it now… but it’s a reminder that God’s in control. We can plan, we can make goals, stockpile finances, work hard and have it all taken away in a heartbeat. We must trust in the Lord and His will for our lives and sometimes submit that we have control of the rudder, but it is God who is in control of which way the river flows. I’m reminded of this scripture from James 4:13-17 13 Now listen, you who say, “Today or tomorrow we will go to this or that city, spend a year there, carry on business and make money.” 14 Why, you do not even know what will happen tomorrow. What is your life? You are a mist that appears for a little while and then vanishes. 15 Instead, you ought to say, “If it is the Lord’s will, we will live and do this or that.” 16 As it is, you boast in your arrogant schemes. All such boasting is evil. 17 If anyone, then, knows the good they ought to do and doesn’t do it, it is sin for them. Thanks for following the Garrison book journey. Things have been picking up lately and I’m encouraged as we head into the fall and holidays. Be Strong and Courageous and I will to. So, what’s up with my book anyway? Here it is April 2017 and I haven’t updated the blog now in a few months. While I had dedicated most of 2016 towards the book, I lost momentum towards the end of the year. When August hit I ended up working on one thing after the other, allowing fears of running out of money and not appeasing people decide what I would spend my time on and I just lost momentum on the book. 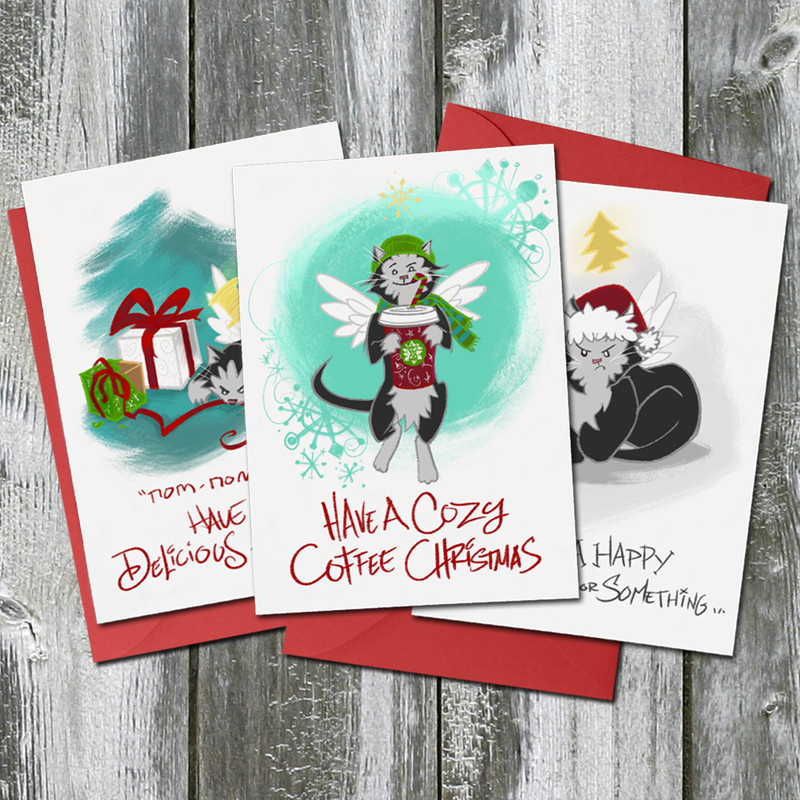 From August to January there were client projects, getting ready for conventions, the holidays of course, getting sick, it never ended. I still made progress, but not what I would have liked to achieve during that time. In addition to losing momentum, I lost the inspiration and the drive that was propelling me forward. 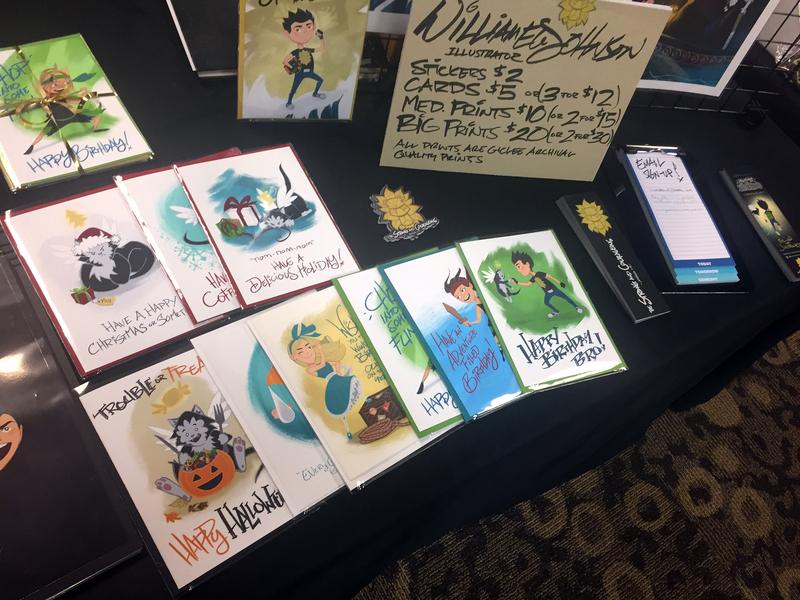 After the Bellingham Comic Con in the Fall, after sharing the book concept with so many people online and in person, I admit it was hard not seeing it appreciated the way that I had hoped. As an artist and creator, I always put so much effort and care into my work, and it seems saddening to me when I share these things on my heart with others and they just don’t seem to care or understand. I was talking to a mentor last year and he said to not focus so much on posting the work, getting likes and relying on the feedback of others because there is a lot of work yet to do. I can’t be reliant on what others think, and he was right. I can’t rely on likes and tweets to drive me forward, I need to find that from within, through God, and the reasons why I started the project to begin with. I have been searching within myself to gain the momentum back, to find the courage and the strength to keep up the progress. That’s what the book is about anyway, being courageous and facing our fears. It’s not just a scripture that applies to a young man named Garrison on his adventures but it applies to myself as well. Joshua 1:9, “Be strong and courageous, do not be afraid, do not be discouraged, for the Lord your God will be with you wherever you may go.” It’s a scripture I wear on my own sleeve to combat the fears that creep in. 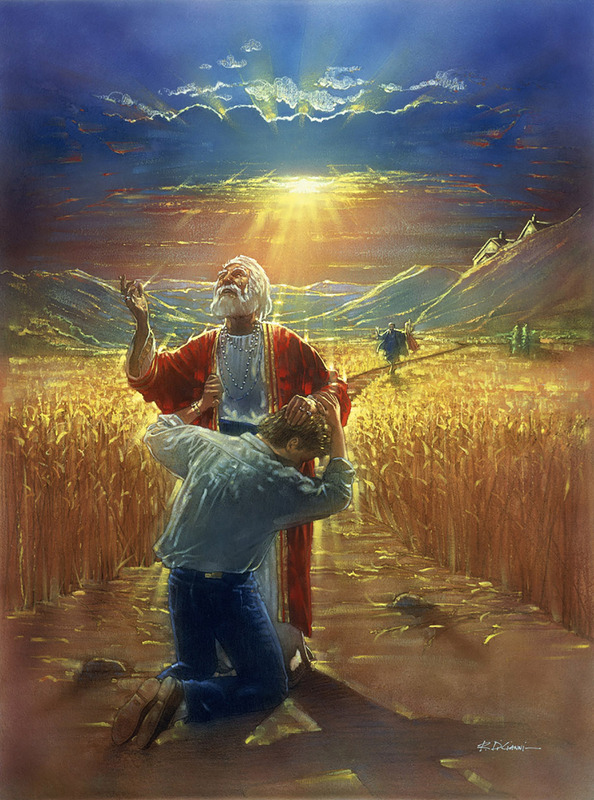 “Will I have enough money to pay the bills?”, “Am I too old to breakthrough as an artist?”, “Will I lose people I love?”, “Is there truly more to all of this?” These are the tough questions I ask myself all too often and need to pray against and have faith that the Lord knows what’s best. Faith is not just in the mind and spirit, it’s in acting it out, saying “no” to new projects and other distractions and knowing God wants me to work on the book and that he will provide. It’s in belief that people will one day receive this book and will appreciate it and will bless their life. Also, having belief in myself, that I can make it happen and the art will be great enough, the communication will be clear and it will inspire and enrich our lives and the lives of others. So, I’m getting there, slowly. I just recently got a standing desk in my office which has greatly improved my productivity and spirits working from home, which can be a very lifeless affair at times. But there has been progress! –I have made progress on the character designs and have completed the character designs for chapters 2, 3, and 4. Which I will be sharing in an upcoming post because there is a lot. As well I received some good feedback on my character designs from fellow artists, including a Disney artist, about thinking about my characters and adding more depth to their emotions. For example, a smile is not just a smile, there are many layers to a seemingly simple emotion, both in the where the character is within the story as well as in who the character is, when you add these layers to a character they become more real and believable. 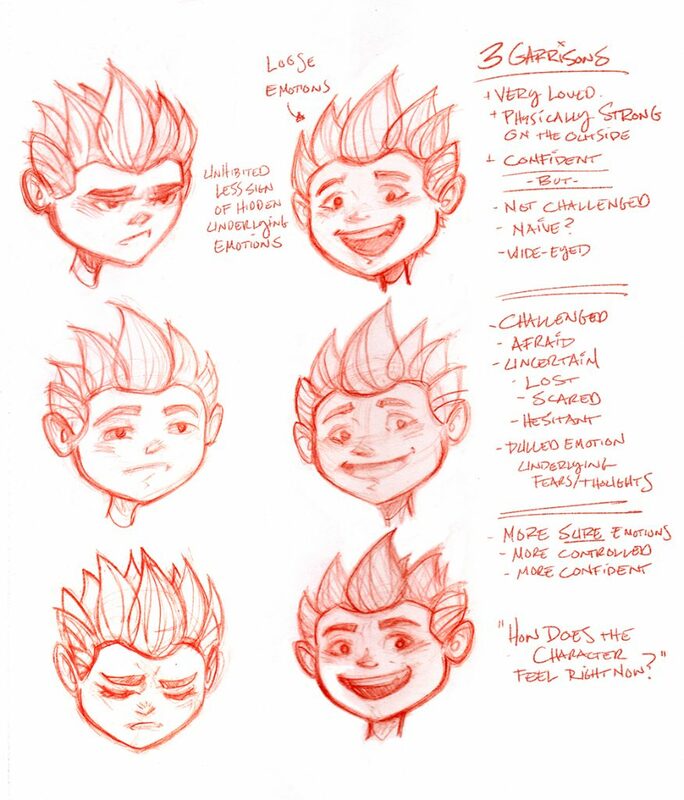 I started thinking about Garrison in the three stages of my book, taking a single emotion like happiness. 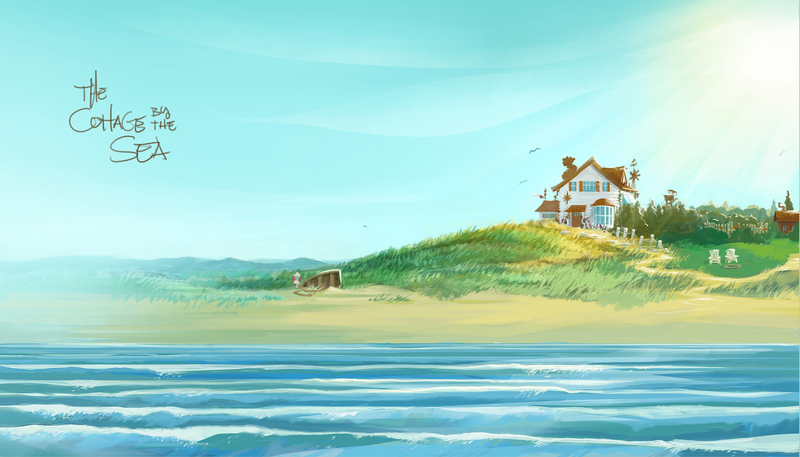 At the beginning of the book it has unbridled childlike happiness, wild and uninhibited by underlying emotions, because growing up in the perfect setting of the seaside cottage Garrison has known very little challenge or worry. In the middle of the book, when he begins to feel new emotions like pain, worry, stress, when he does smile, there is something else under the surface, worry or thought. 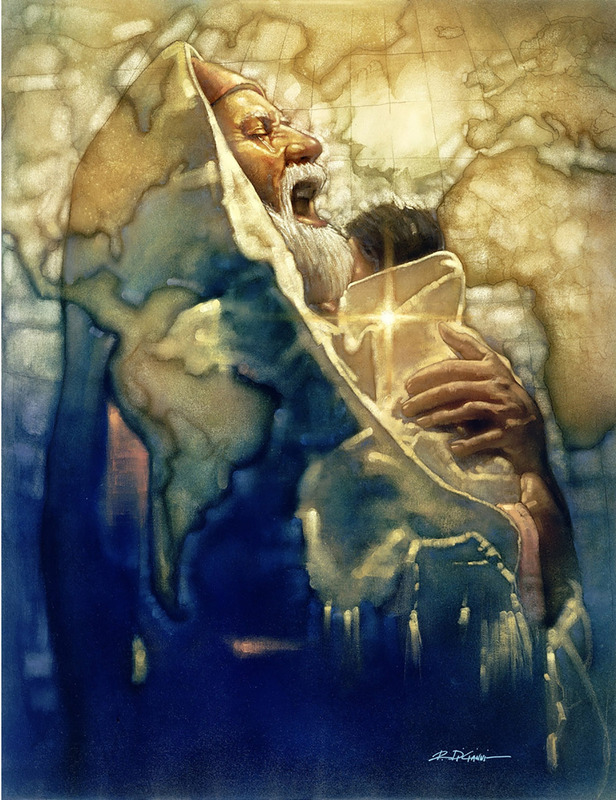 At the end of the story, as he begins to conquer his fears, through his faith and inner strength, his new smile is more confident, more sure. While not as pure as a childlike smile, there is confidence and certainty there. This is an emotional anology in a way of how we all must grow up and how our emotions change over time. After thinking about this more it’s made the drawing process even more interesting because it puts me the shoes of the character even more so and I do feel it makes the character feel much more believable. This month I am moving into environmental art. I want to be sure I’ve fully realized the world of Garrison the Stronghold, as well as the look and feel of the book. When I first started, I had a vision of more a animated look with solid characters against painterly backgrounds, which will help in contrast and put your focus on the characters while adding strong emotion to the landscapes which are meant to feel very heaven-like. 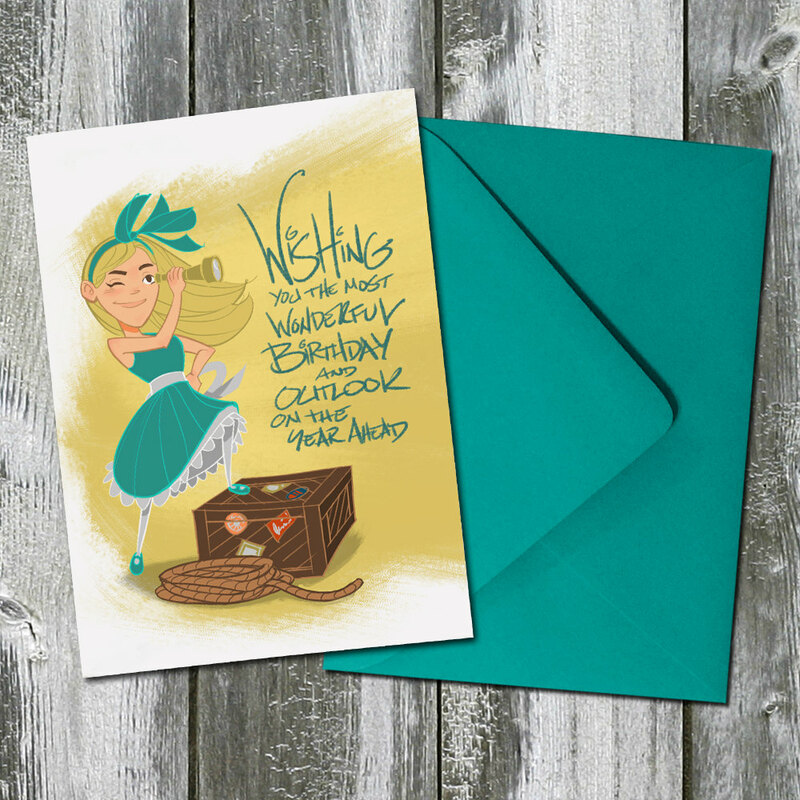 I am inspired by the painted backgrounds of old Disney animation like Sleeping Beauty as well as the inspirational, faith-based paintings of Ron DiCianni. Looking at my background work, I know I’m not quite where I want to be yet. 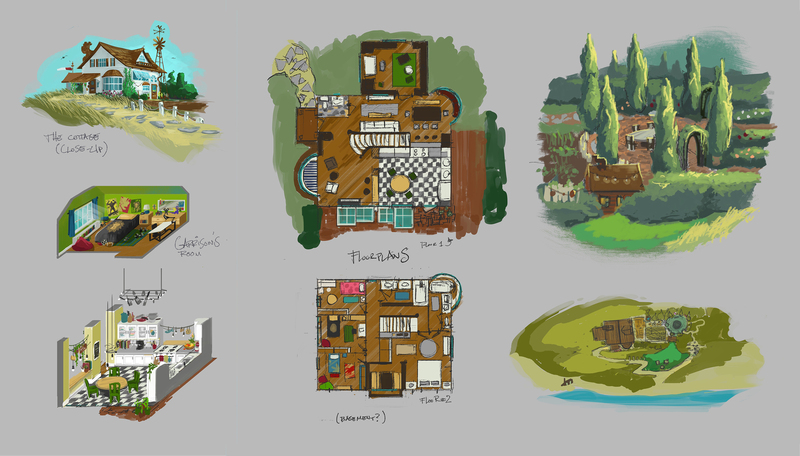 I’ve hinted at the environments some of the concept art like “Garrison and Michael” and “Garrison and the Bigfeet” which was probably the most successful, but these still lack a certain contrast and painterly aspect to where I want to be. More on the background work soon. I am very grateful and appreciate all the support and interest from you for the Garrison story as I continue to work on it. Please let us know you’re reading and leave a comment! Chapter 1 of Garrison the Stronghold, after a long day of hard work on the boat, Garrison and Michael sit in the firelight and talk over a well earned supper. 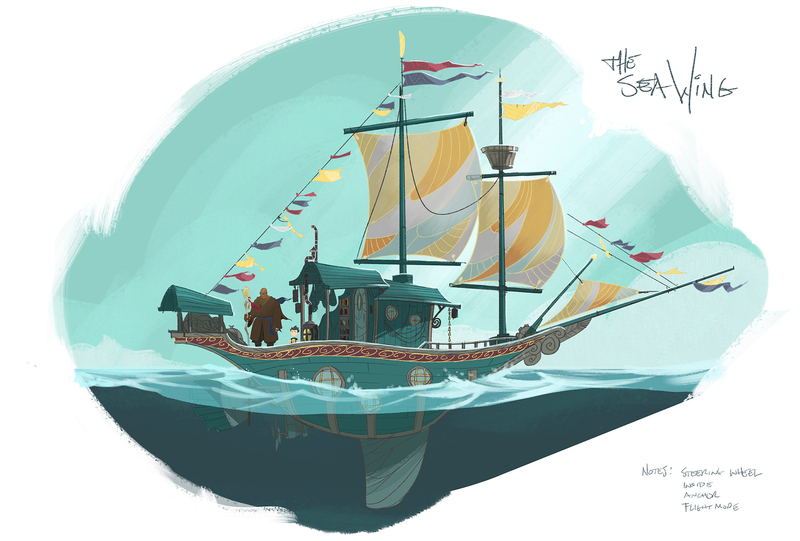 This is the first piece of color concept art I worked on for the book where I explored color and painting techniques. I wanted the art to have an animated quality, with colored lines, solid flat painted characters and more painterly backgrounds to help the characters jump off the art similar to background painter work in animation. Using textured brushes; tighter colored pencil brushes for the linework and dry brush with wider bristles for the background, my goal was to also incorporate an imaginative storybook feel. 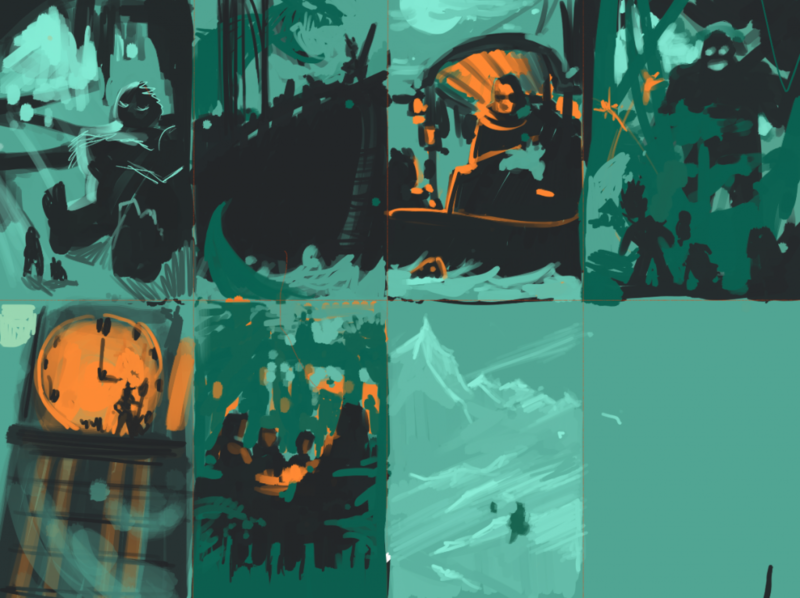 The following quick-paint thumbnails were created as I was challenging myself to come up with various dramatic compositions using only a few base colors. I used key story points in Garrison the Stronghold prior to going into the sequential art. You can see how the Garrison and Michael piece started with an emphasis on the warm glow highlighting the characters against the cool sea at night. 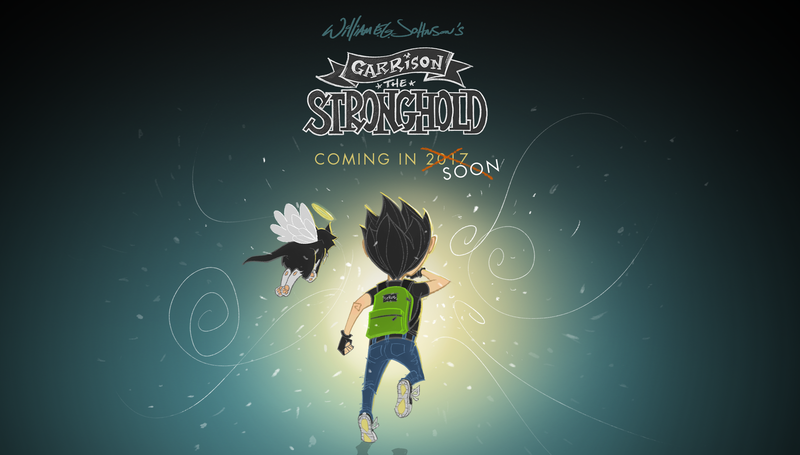 Garrison the Stronghold is a story inspired by life events my wife Leah and I went through in late 2013 – early 2014. 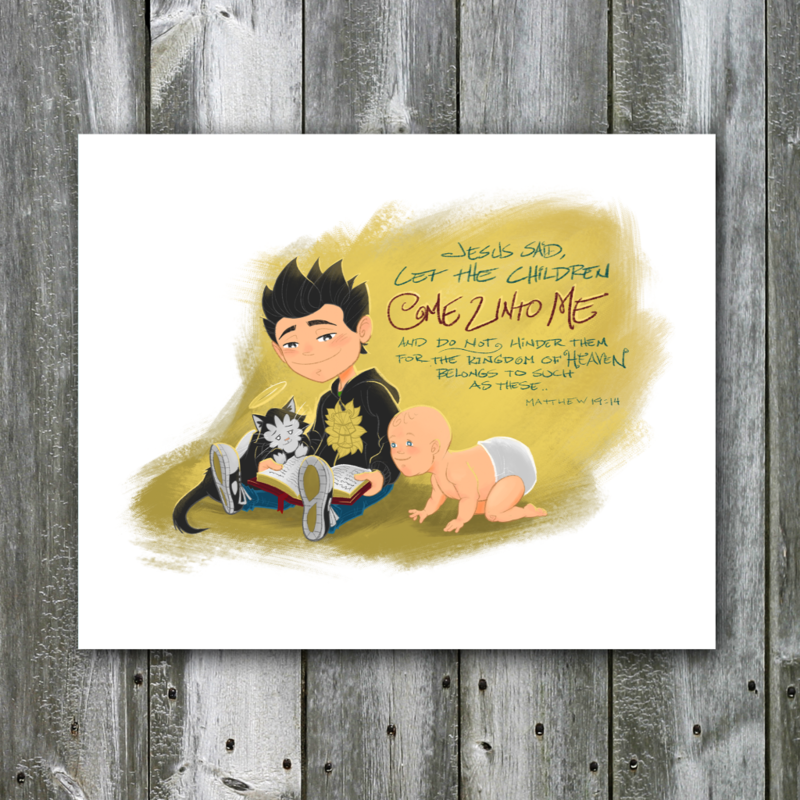 Up until that point, I’ve always had a passion for illustration, ever since I came to God it’s been on my heart that I wanted to do a children’s book, when these life events occurred it was like the pieces came together for the story that needed to be told. Through our experience Leah and I found new meaning in relying on God for his strength, fear comes in many different ways and can be at the root of the hinderances that might hold us back in life. 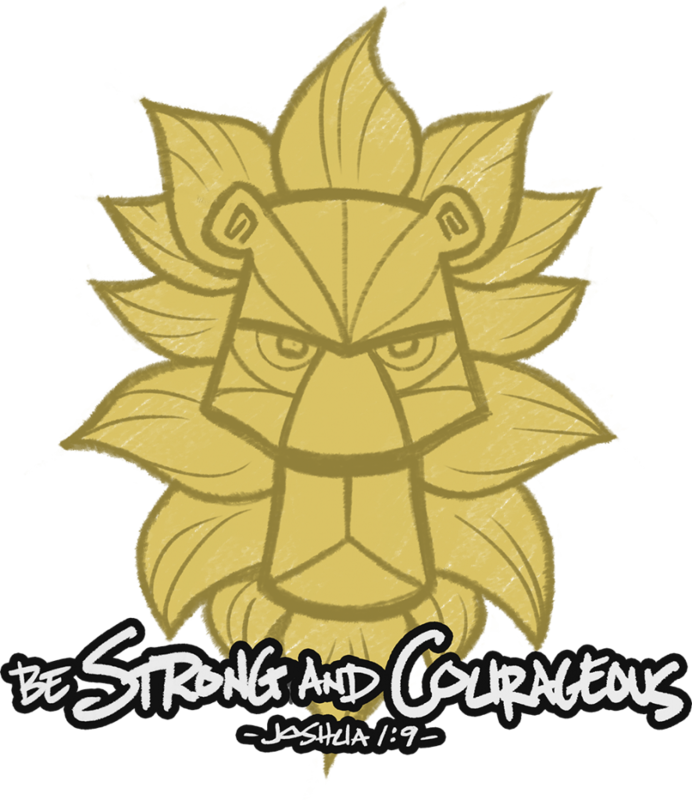 The Garrison book will be, at it’s core, about overcoming fear and becoming “Strong and Courageous” as it states in Joshua 1:9. Every couple years I feel like God is challenging me to take another leap of faith on the journey towards what I believe he has in store for us. This year with freelance work shutting doors in every direction and having built-up a cushion in my freelance work to float us for a small time, I felt the book was what God was telling me is next. So began 2016, the year of Garrison the Stronghold. 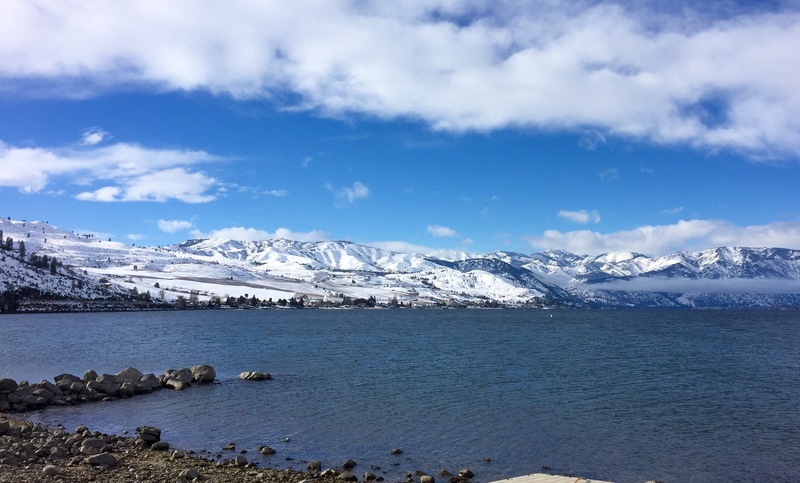 In late January, Leah and I, took a trip to beautiful Lake Chelan, WA where we stayed for an extended weekend to devote our time and begin the writing process of the story of Garrison. We were surrounded by snow-covered hills and peaceful winter sunshine, which was all very inspiring and comforting. The time there provided much needed rest, reflection, and a great kick-off to writing the story. As I continued to work on the script throughout the spring, I also began sketches for the characters and environment design of the story. 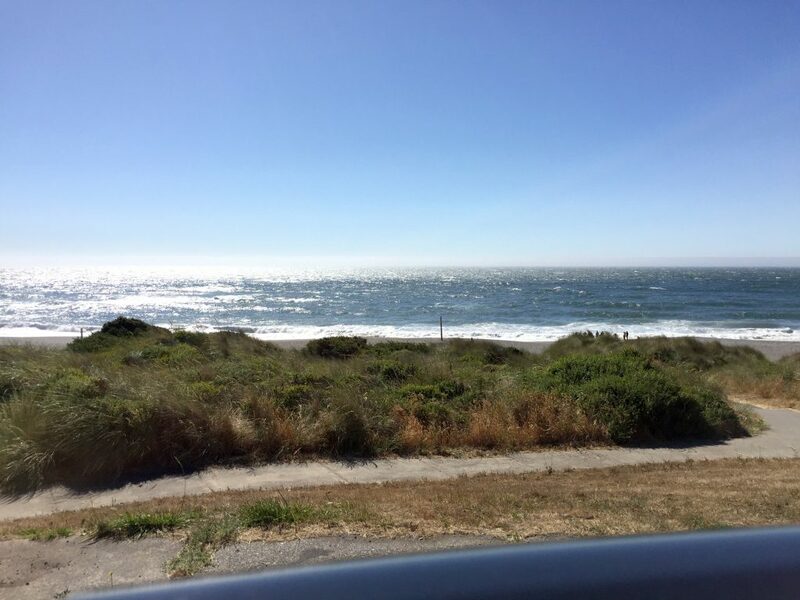 In July I decided to go on an unplanned road trip headed south along Highway 101 in hopes to get some quality time to finish writing the story. I discovered beautiful beach side cliffs in Oregon which inspired the maritime themes in the first and second chapters of the Garrison book, dreaming of fantastic port towns, wooden ships and sea creatures. Further south, I was able to experience camping in the Redwood Forest in northern California which inspired Garrison’s adventures in the Isle of Twistaway in the third chapter of the book. Mammoth trees along the cliffs and caverns with mysteries abound, it seemed like the perfect place to draw inspiration. The trip proved to be a very eye-opening adventure and I was able to complete more than half of the script during the time. 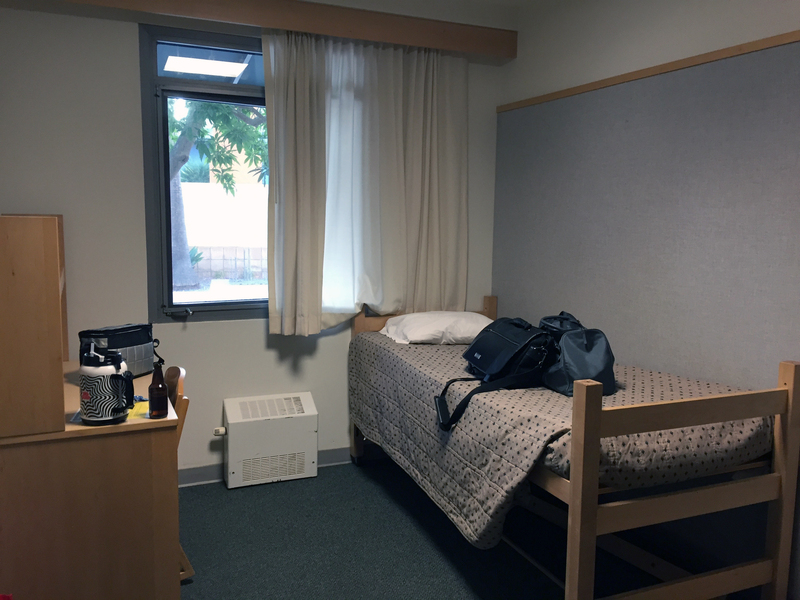 As I wound my way down the west coast, I found a “luxury” affordable writing environment at UCSB, just before heading south to LA where I would soon meet Leah, flying down to keep me company on the way home. 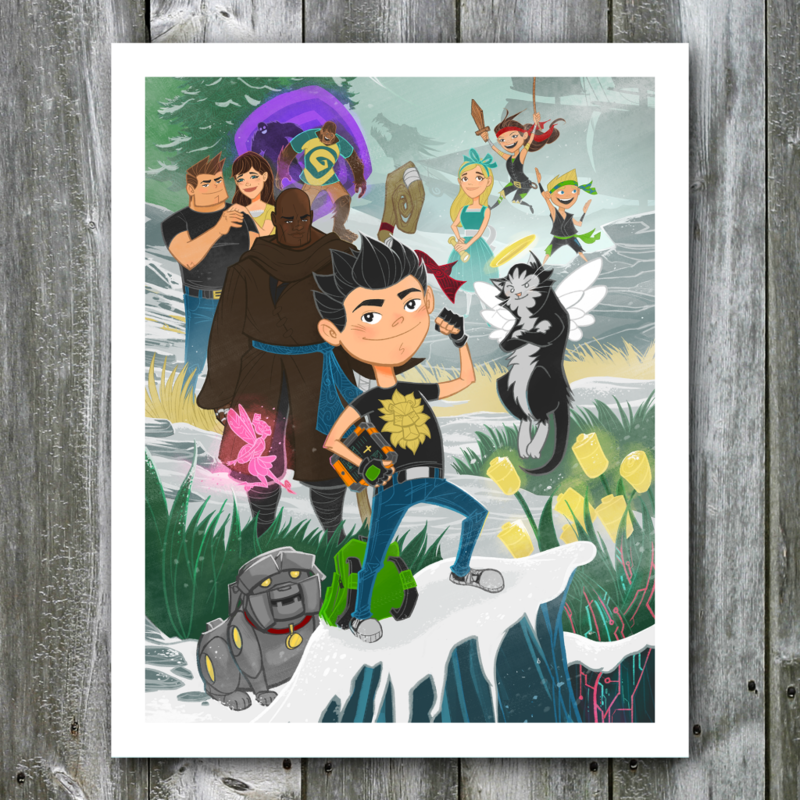 Efforts were ongoing throughout the year to redefine my art style in a way that could be more children’s book friendly, but could still be considered “cool” to younger audiences. I drew inspiration from animation and children’s books, as well taking classes through Schoolism to grow as an artist from acclaimed artists and mentors like Bobby Chiu and Steven Silver. 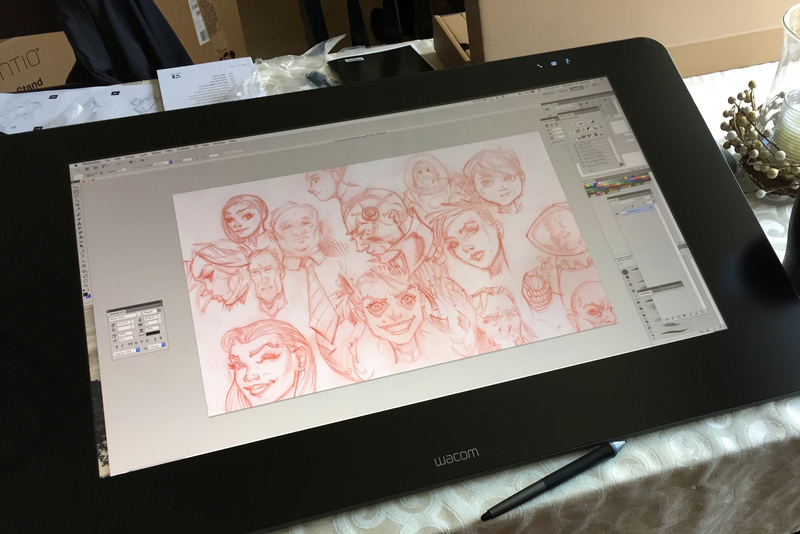 In my early sketches, I found an affinity for Col-Erase red pencils, which when it came time to go digital, I translated the natural look and feel of the pencils into digital brushes to continue the style while working on my amazing new Cintiq “easel”. 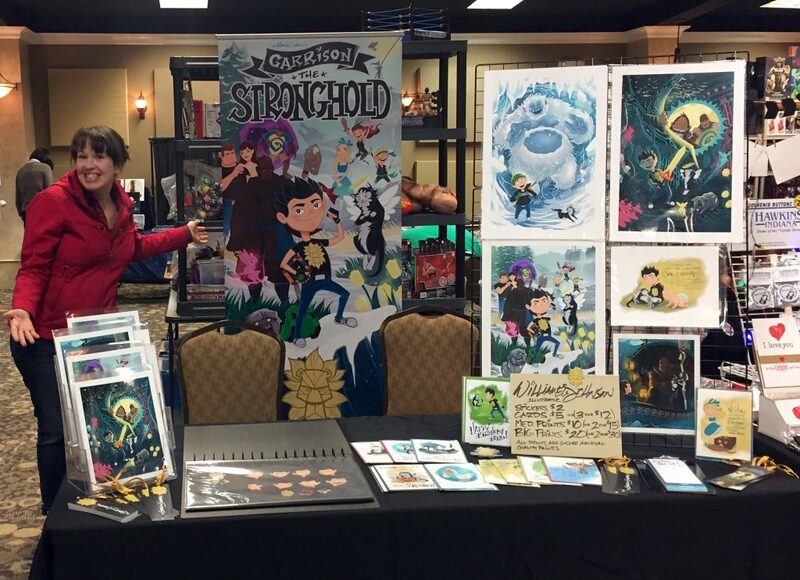 In October I had the opportunity to have my own table at the Bellingham Comicon which provided me a goal to begin revealing Garrison the Stronghold to the public. 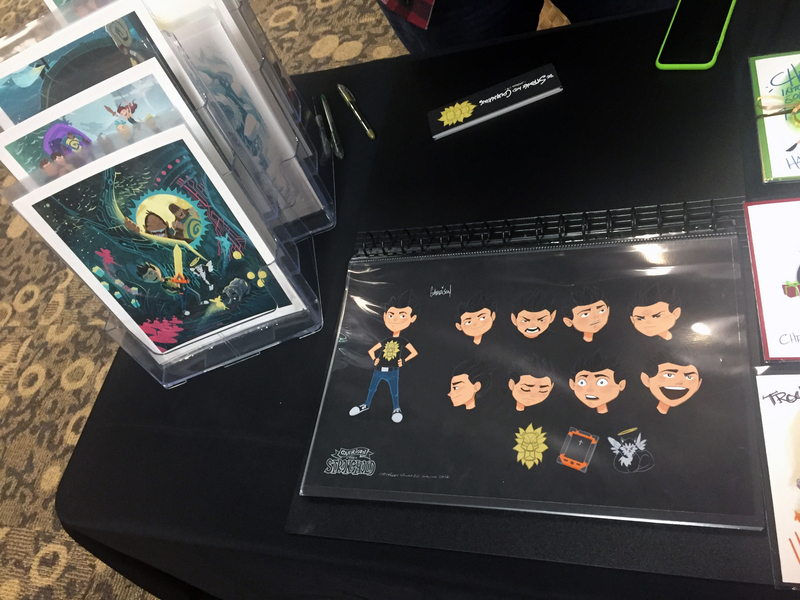 We were happy to share an assortment of concept art, stickers, prints, and occasion cards at our booth, it was all a very big production, but with the help of my wife, we were able to finish it all in time and it was very rewarding. We received very positive feedback from the guests which was very encouraging after all our hard work. Even though the book published till late 2017, this gave me the chance to share the art and characters to the public and begin gaining support and interest in the process. Over the next year I hope you will join us on journey as I develop the first Garrison the Stronghold book. 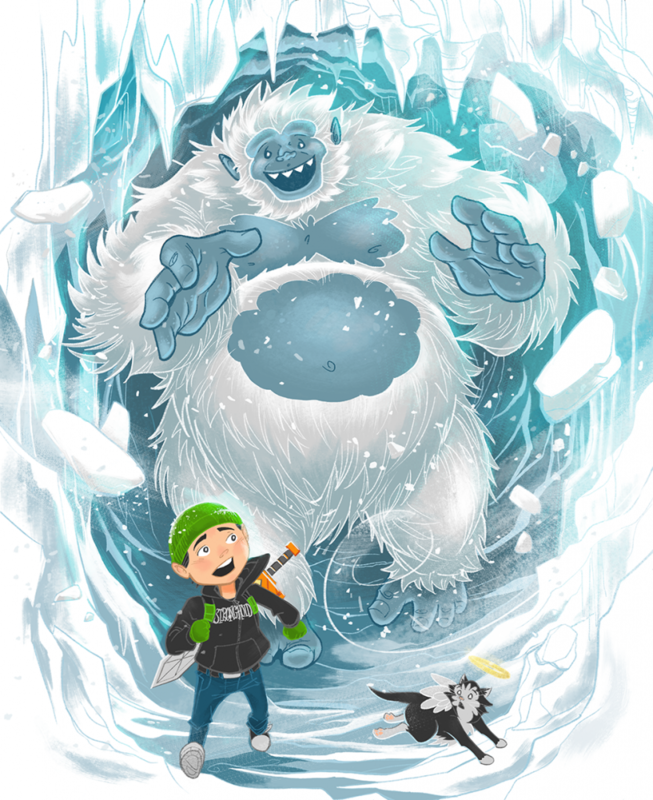 The book will be a 100+ page graphic novel children’s book for middle-grade children and above. I also feel it will have a special place for parents and hopefully lovers of art and storytelling. We will be updating the blog every Monday and offer an email sign-up to follow along for updates. In the coming weeks I will be sharing more about the process, story, and lots of concept art goodness. Thanks so much for you continued love and support! – Be Strong and Courageous!